A Florida state attorney has cleared an FBI agent and a Massachusetts State Police officer in last May's shooting death of a Chechen man who was friends with the Boston Marathon bombers. 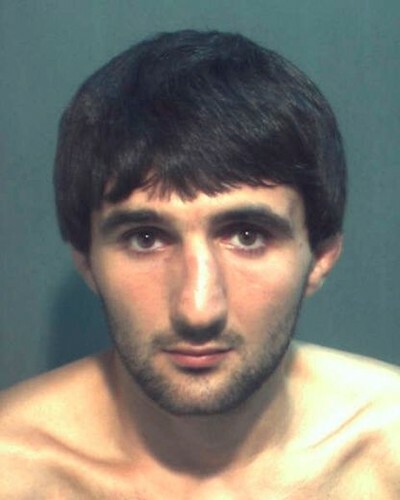 Ibragim Todashev had been cooperative during hours of questioning in his Orlando apartment, State Attorney Jeffrey Ashton wrote Tuesday in a letter to FBI Director James Comey. But his mood changed after he "confessed to some involvement" in a 2011 triple homicide in Massachusetts also under investigation, and after he realized he might be arrested. Todashev, described as a "skilled mixed-martial arts fighter," heaved a coffee table at the FBI agent, hitting him in the head. He ran into his kitchen, coming out holding a five-foot-long metal pole over his head "with the end of the pole pointed toward [the FBI agent] as if intended to be used to impale rather than strike," Ashton wrote. The agent fired three shots, which knocked Todashev down. But he tried to get back to his feet, prompting the agent to fire three or four more shots, killing Todashev. A separate Justice Department review reached the same conclusions. It noted that Todashev's half-written confession was found at the scene. "The last sentence that Todashev wrote on the tablet of paper specifically related conduct by him that acknowledged complicity in the crime," the DOJ report said. The Council on American-Islamic Relations (CAIR) officials asked for an independent investigation last summer, claiming "senior sources within the FBI" told them Todashev "was indeed unarmed when he was shot seven times." Hasan Shibly, CAIR's Tampa director, said Ashton's letter was still being reviewed, but that he already saw "several concerns and key inconsistencies and ... many important unanswered questions." "The FBI's history, past abuse by law enforcement, and our own independent investigation have lead us to question the original narrative which can no longer be taken at face value," Shibly told the Orlando Sentinel. "The only person who can contradict the government's narrative is now dead and the investigation into his death relied on evidence gathered by agents of the same agency involved in his death." Shibly first criticized the investigation last Friday, when reports first indicated it would clear the FBI. CAIR has had difficulty accepting investigative outcomes that don't match its own narrative. In 2010, CAIR asked for, then rejected, investigations by the Justice Department's Civil Rights Division, the Dearborn Police Department and Michigan attorney general's office after an imam was shot and killed after he fired on a K9 dog leading an FBI SWAT team. Video from that investigation shows Imam Luqman Abdullah, who preached that followers should not go peacefully if police came for them, tried to run away as agents moved in to arrest him. He refused their orders to lie down, lurked behind a corner and kept his hand hidden despite repeated instructions to show them. CAIR's Michigan director dismissed the DOJ investigation as "superficial and incomplete" and continues to cite the incident as an example of FBI excessive force and mistreatment of Muslims. It comes amid a broader campaign against the FBI by CAIR. In 2008, the FBI enacted a formal policy prohibiting goodwill outreach to CAIR after an investigation linked the organization and its founders to a Hamas support network in the United States. That policy remains in effect. Its "Know Your Rights" seminars, ostensibly about the right to counsel, involve outrageous claims casting FBI agents as willing to break the law to set up unwitting Muslims. 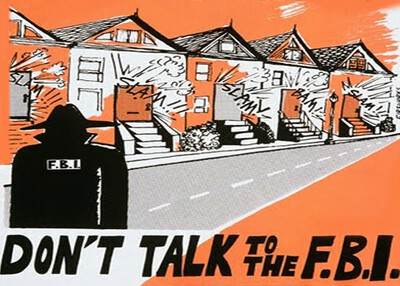 A California chapter in 2011 advocated building a "wall of resistance" advising "Don't Talk to the FBI." Todashev's death likely will remain in the litany of government sins despite the investigations. If CAIR stands by its account about Todashev, it ignores evidence tying him to both the Boston Marathon bombers and the triple murder. It ignores his martial arts skills, which Ashton credited with making him a "fearless fighter." Todashev could have tried to run away, Ashton wrote, instead he chose to attack. "Regardless of how beaten down he was, he simply didn't have any quit in him. Perhaps on this occasion, he simply reverted to that basic aspect of his personality and chose to go down fighting." It seems to be high time that CAIR be investigated for their repeated links with and support for terrorists (living and dead) to determine their tax status and their sources of income.